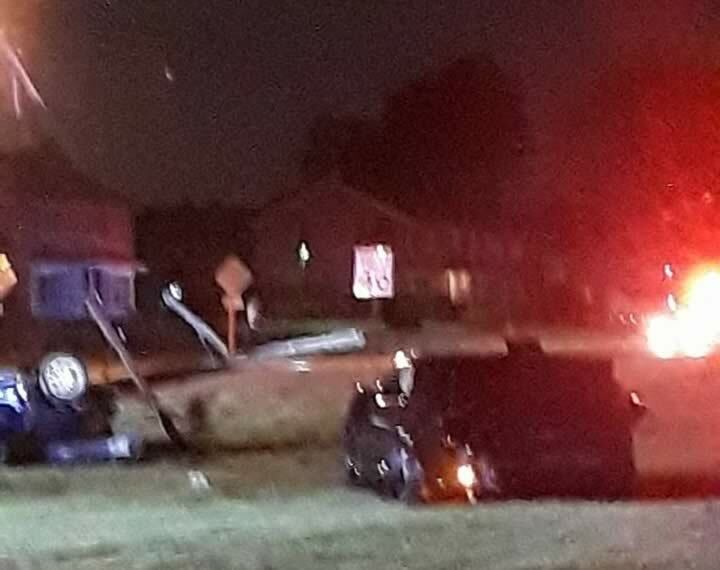 Park Forest, IL-(ENEWSPF)- It was a night of two crashes. The first, a head-on collision, the second took out the TimStrong squad car that responded to cover the accident. 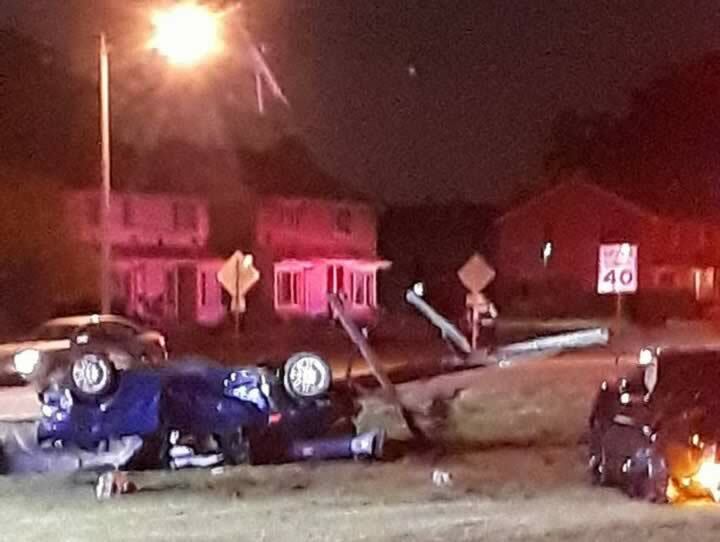 Saturday night after 9 p.m., Park Forest officers were on 26th Street conducting an investigation of a traffic crash with injuries. 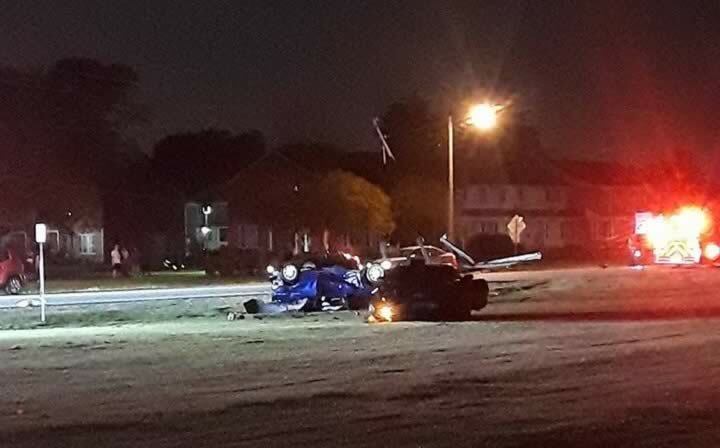 The initial crash was ugly, with one vehicle a tangled mess. According to Birch Street Townhomes resident Rich Whitehead, who provided most of the photographs here. 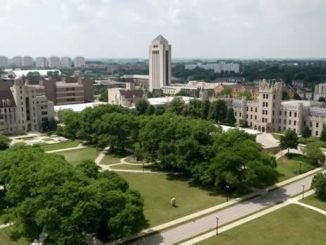 According to Mr. Whitehead, “A woman and her baby were taken to hospital,” One driver appeared to have climbed out of the window of his vehicle, the black car, and fled on foot, according to Mr. Whitehead. There were some power lines affected, so some Area B residents were left in the dark. 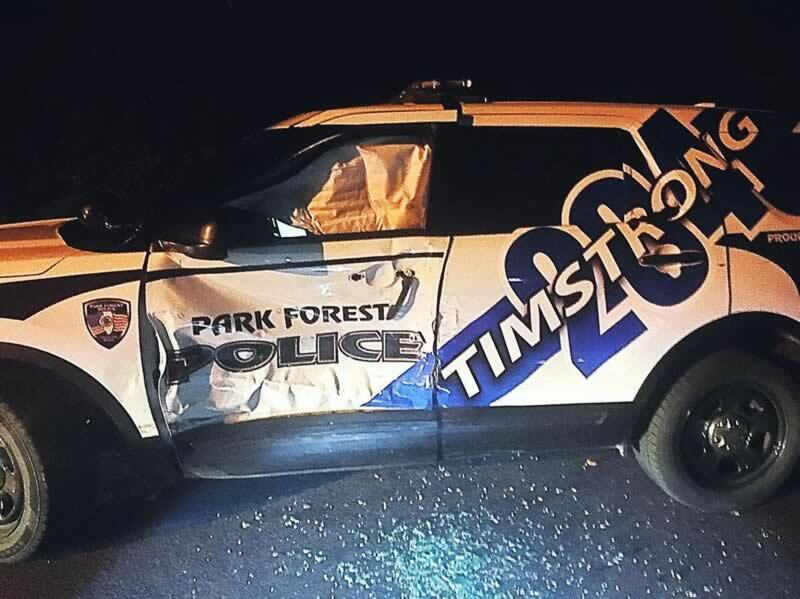 Squad 16-1, more endearingly known to the Park Forest Police Department and members of the community as the “Timstrong” car, was blocking traffic with the emergency lights flashing when it was struck by another motorist. Update 9:23 a.m. on June 4: The name of Birch Street Townhomes was changed to reflect the proper name of the co-op complex. Thanks to Mayor John Ostenburg for the correction.